I changed the URL for both pages, now I cannot get them to show from the registration links. How do I fix this? Last update on April 6, 3:43 am by Hamada. 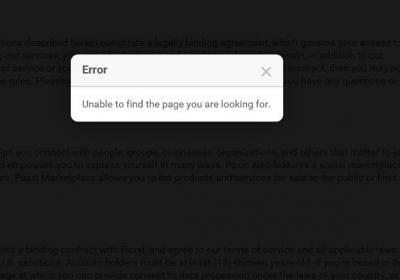 I am getting this error, and the pages are loading behind the modal window. Last update on April 6, 3:46 am by Hamada. Also, why is it that when I add a target blank in the links, it does not work on the site. Who the heck is going to navigate away from a sign up page after they have filled out the form? This is elementary design logic! The defaul should be blank or parent window. I get a modal window error above, then a modal window tries to load the page but fails.